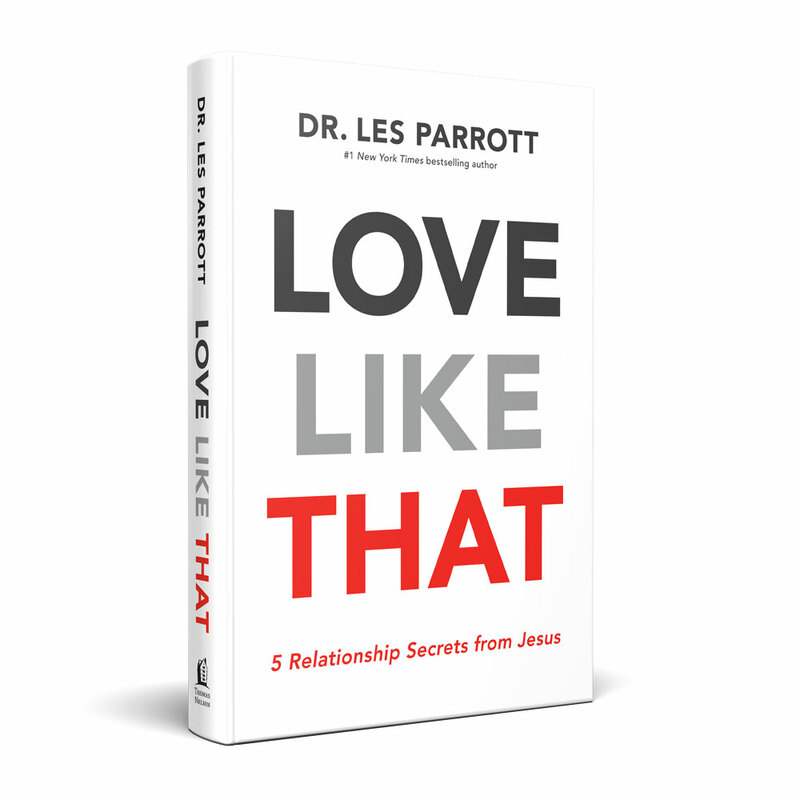 If you’re reading the book, you know Dr. Parrott provided a brief personal inventory in each of the five chapters. These little self-assessments help you personalize the content. You can answer the questions in the book, of course, but answering them here, online, will tally your results automatically and give you more information. Plus, you can come back and use it to measure your progress in the weeks ahead. If you are taking the self assessment as part of a church or small group campaign enter your group id here. The first chapter of the book challenges us to love by being mindful. This online section will help you evaluate how well you love in this area. If you haven't read chapter one yet we recommend reading the chapter and then returning to take the inventory. If you’re curious to get a little snapshot of how inclined you currently are to practice mindfulness in order to love others well, take a moment to honestly indicate how frequently you experienced each of the following over the past week. Thanks for completing the mindful section. Your score represents how attuned you are to others around you. The higher your score, the more conscientious you are of people’s needs, experiences, and feelings - the more you are able to set your own agenda aside (temporarily) to be loving. Conversely, the lower your score, the more detached you tend to be with others because you are consumed by your own agenda-driven pace. So the question is, how do you feel about your score? If you’d like to improve your ability to be more mindful, review the chapter and lift out two or three specific things you can do in some of your specific relationships. Write them down and consider what you will do and when you will most likely do it. In other words, what are some specific and personal agenda items you can temporarily set aside to be attuned to others in your life? And if you’re feeling brave, invite a trusted friend to read Love Like That with you so that you can work on this together. Remarkable things tend to happen when we have an accountability partner, someone who will process our experience with us and help us sometimes see what we aren’t seeing about ourselves. In fact, you might even consider staring a small group with several other people who will do this together. The second chapter of the book challenges us to love by being approachable. This online section will help you evaluate how well you love in this area. If you haven't read chapter two yet we recommend reading the chapter and then returning to take the inventory. Answer a few questions to get a bit of clarity on how inclined you currently are to open your arms and practice approachability as a means to love others. Honestly indicate how frequently you experienced each of the following over the past week. Thanks for completing the approachable section. Your score represents how accepting and inviting you tend to be with those around you. The higher your score, the more accessible and approachable you feel you are being. On the other hand, the lower your score, the more distant and even snobbish you are perceiving yourself to be. You may be struggling with unhealthy pride if your score is particularly low. Being honest about this tendency is essential to helping you overcome it. So how do you feel about your score? If you’d like to become more approachable, review the chapter and do your best to identify three specific things you can do to become more approachable (e.g., smile more at a particular person). The more specific you are, the better. Are you up for asking a trusted friend to read Love Like That with you so that you can process together ideas for becoming more approachable? You may find that the initiative to ask someone to do this with you is the key to opening your ability to be more approachable. So give this idea some serious consideration. It could be one of the most important things you do in your journey to becoming more loving. The third chapter of the book challenges us to love by being grace-full. This online section will help you evaluate how well you love in this area. If you haven't read chapter three yet we recommend reading the chapter and then returning to take the inventory. Take a moment to honestly indicate how frequently you experienced each of the following over the past week and it will give you a little clarity on how inclined you currently are to open your heart to others. Thanks for completing the grace-full section. You can see your responses below. Your score represents how much unconditional positive regard you tend to give those around you. The higher your score, the more grace-giving and accepting you feel you are being. On the other hand, the lower your score, the more judgmental or evaluative you are perceiving yourself to be. Either way, it comes down to attitude. So how do you feel about your score? If you’d like to become more grace-full, review the corresponding chapter and and see if you can identify three or more places in your life where you’d like to be less judgmental. The more specific you are, the better. And then consider concrete ways (from the chapter) that you can do just that. As always, you’ll make more marked improvement in this area if you confide in a trusted friend who is reading Love Like That along with you. Ask your friend to give you honest feedback, from their observations of you, on what you can do to be more grace-full in your relationships. The fourth chapter of the book challenges us to love by being bold. This online section will help you evaluate how well you love in this area. If you haven't read chapter four yet we recommend reading the chapter and then returning to take the inventory. Thanks for completing the bold section. You can see your responses below. Your score represents how courageous and bold you tend to be in saying what needs to be said. The higher your score, the more you tend to see yourself as a truth-teller who isn’t afraid to make waves to build a healthier and more authentic relationship. On the other hand, the lower your score, the more you tend to see yourself as being superficial and reluctant to talk about what matters most (because it’s risky or could potentially damage the relationship). If you’d like to become more authentic in your relationships and less timid about rocking the boat, review the chapter in Love Like That and identify a couple of concrete ways (with specific people) you can step out of your comfort zone to risk losing someone’s approval because you need to take off your interpersonal mask to be real. Are you willing to process this idea of becoming more bold in your relationships? Are you wiling to talk with a trusted friend about it? This is an area where an objective person can really add value to your personal journey. So consider the idea of inviting someone to help you see how you can become more bold in your relationships. The fifth chapter of the book challenges us to love by being self-giving. This online section will help you evaluate how well you love in this area. If you haven't read chapter five yet we recommend reading the chapter and then returning to take the inventory. If you’re curious to get a little snapshot of how inclined you currently are to being self-giving in order to love others well, take a moment to honestly indicate how frequently you experienced each of the following over the past week.